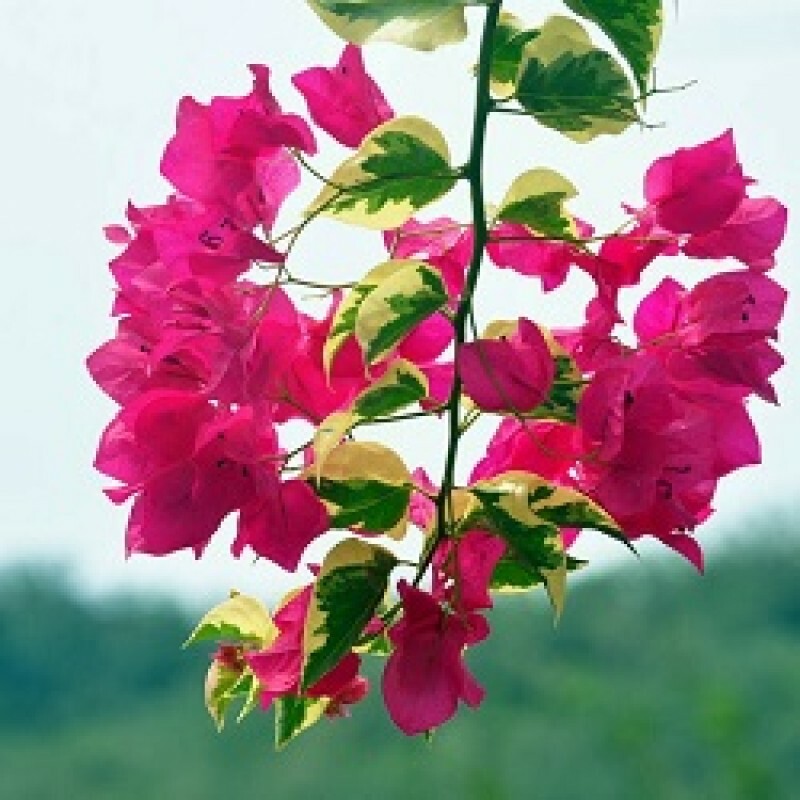 Genus Bougainvillea are scandent evergreen shrubs, sometimes thorny, with simple ovate leaves and clusters of small tubular flowers each enclosed by 3 showy, brightly coloured ovate bracts. Species 'Poulton's Special' is a evergreen climber to 5m, with ovate leaves and clusters of magenta-rose bracts surrounding small white flowers. Pruning Pruning group 12 in early spring/after flowering.